Percy F Westerman was a prolific children’s writer in the 20th Century, with his books mostly based on military and naval themes. This particular edition includes a book plate, which revealed the copy had been awarded as a third place prize for the 90th Glasgow Company Boys Brigade Drill Efficiency during the 1917-1918 Session. 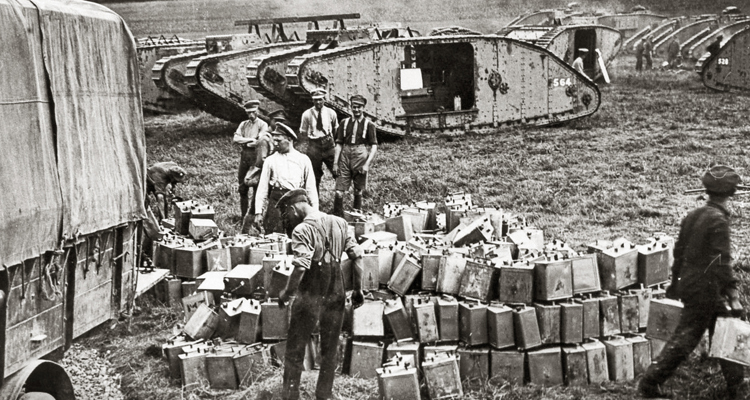 It is no doubt a worthy prize, as “To the Fore with the Tanks!” is typical boy’s adventure story. 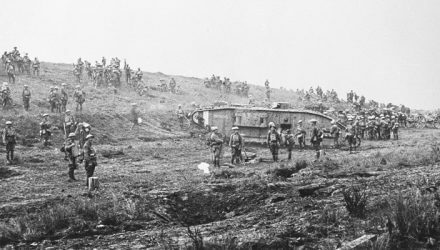 The story follows Private Ralph Setley, originally of the ‘Second Wheatshires’, through his trials on the Western Front. [Spoiler Alert!] 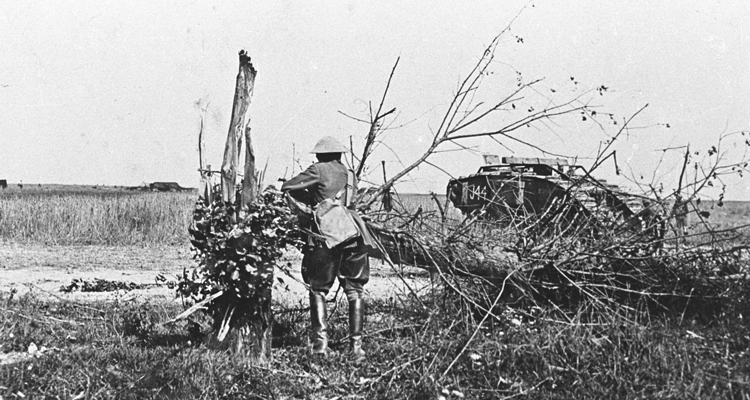 Having survived going over the top, Setley is recommended for commission after saving a wrecked tank in No-Mans-Land. As a Tank Commander he battling through the trenches on ‘the big push’, tackles a treacherous double agent and, in a thrilling climax, uses his tank as a battering ram against a steam train and railway bridge to stop German reserves reaching the front. 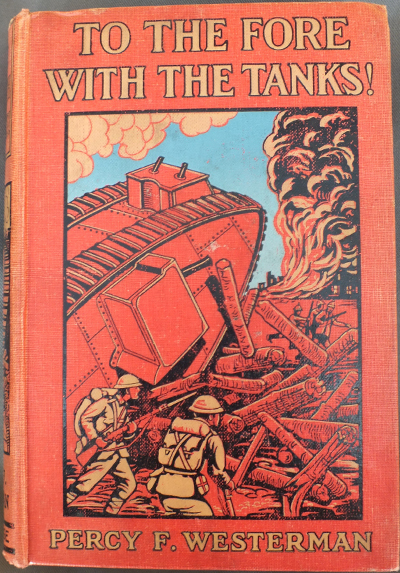 In excellent condition for its age, ‘To the Fore with the Tanks’, will be catalogued and added to the Fiction section of the Archive’s reference library.